Consult the Best Fall River Child Relocation Lawyer | Farias Family Law, P.C. If a custodial parent wants to relocate out of jurisdiction with a child, the court is required to apply a specific legal analysis to determine whether the child will be allowed to go. As in all matters related to children, the primary and overlying consideration is the child’s best interest. However, on the issue of relocation, the analysis is deeper. If the custodial parent wants to take the child out of the jurisdiction, the court uses the “real advantage” test. Essentially, the moving parent must establish a good sincere reason for wanting to move to another jurisdiction. The court does consider that the custodial parent’s interest is strongly intertwined with that of the child. In other words, acknowledges that the parent moving to a better situation usually results in improved circumstances for the child. Parents decide to move with their children for a number of reasons such as to pursue better employment opportunities out-of-state or to provide their children with better education. Whatever their purposes are for relocating, they need to present a strong argument to the court, so they will be allowed to move with the child. The court considers several factors before granting an approval for parents who are looking to relocate with the child. Some of the factors include: the responsibilities and involvement of each parent, the distance between the old home and the proposed new location, education, a motive or absence of motive by the parent, employment opportunities, location of other family members, the extent to which moving will affect the emotional, physical or developmental needs of the child, social advantages, availability of contact with both parents, home environment into which the child will be moving, and effects of increased travel, among others. The child’s age and level of maturity are also important factors that the court considers before allowing custodial parents to relocate. In the case of older children, the judge may ask that the older children be interviewed by a neutral party to ascertain their preferences or opinions about the move, which are often considered by the court in making its decision. For young children, the availability and relative quality of daycare or preschools, and the strength of the relationship with each parent are important factors. The parent cannot use the move solely to deprive the other parent contact with the children. If the court suspects that the move is made out of spite for the other parent or just to create distance between the other parent and the children, the legal standard may not be met. Thus, it can be quite difficult for custodial parents to relocate with their children since they have to present solid admissible evidence that meets the legal standard. Similarly, the parent opposing the move must be able to persuade the court that the custodial parent is making the wrong decision and that the move is not in the best interest of the children. Both sides must plan carefully their course of action and legal strategy to obtain success in their respective cases. Fortunately, there are child relocation attorneys you can count on for assistance. 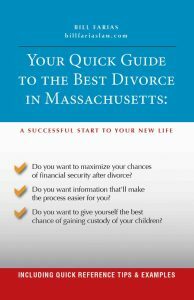 With the help of the best Fall River child relocation attorney, you can give yourself a better chance of obtaining the desired result. The Law Offices of Bill Farias will help you every step of the way – from the consultation process, through investigation, preparation, presentation of the case, negotiations, and litigation, we will fight to get you the best result. If you have plans of moving with your children, you need to prepare for your case several weeks – sometimes months – before the court date. In any child relocation cases, custodial parents should know ahead of time potential schools where they could enroll their children, as well as extracurricular activities that would suit their needs. They should also think about what type of visitation schedule would be feasible if the non-custodial parent will remain involved, among other details. Also, it’s important to understand what evidence is admissible and what isn’t and how to present the case most persuasively so that the case can be prepared and presented accordingly. When you have finalized your decision of relocating, you must gather your strong reasons for moving and the corresponding evidence before filing a complaint about modification. Your main objective is to prove to the court that the move is beneficial not only for you but most importantly for the child. Therefore, when you decide that you want to move, it is wise to consult a lawyer that is thoroughly familiar with this area of practice so that you can have the legal guidance you need to give yourself the best chance in court. After the filing of the complaint about modification, a guardian ad litem may be appointed by the court to conduct an investigation and provide an opinion to the court on whether relocation is in the child’s best interest. The court may order the investigation in order to get input from an experienced, neutral party. Some areas of inquiry may be the quality of education, social support from family members, impact on the bond between the child and non-relocating parent, and how the parent’s new job can benefit the child, among others. Choosing the right attorney to assist you with a child relocation case is critical, and you should only rely on professionals who are versed in this legal issue. Attorney Bill Farias will help you come up with a plan, gather the necessary evidence and present it in a manner that gives you the best chance of success. Also, you can expect a high level of support from the beginning of the legal process through the end. We will keep you posted and involved throughout the process, which makes it easier for you to endure. Call us today or contact us online for a consultation. This site and all information on it is intended for informational purposes only and is NOT LEGAL ADVICE. You should seek competent legal representation on any legal matter.